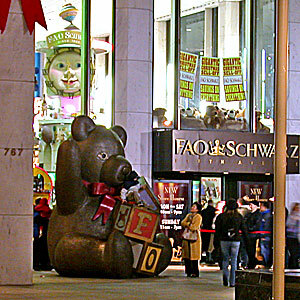 I was hunting for bargains but ended up shooting photos fearful that this FAO Schwarz would close FOREVER. 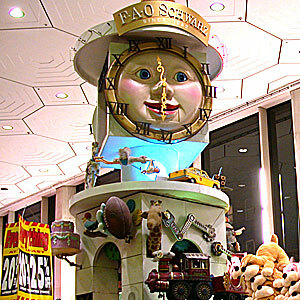 The closing of this WORLD FAMOUS FAO Schwarz would have been an HISTORIC tragedy. 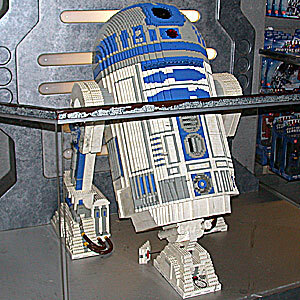 Today, this flagship FAO Schwarz, while GREAT, bears little resemblance to the old toy store captured in these photos of my visit on December 12, 2003. The entire retail space that this FAO Schwarz occupies and the surrounding area is very different in the present day. Apple's flagship 5th Avenue store now dominates the front of the General Motors building that houses FAO Schwarz. The toys and displays are always changing at FAO Schwarz, so there is always something new to see and a trip to FAO Schwarz is ALWAYS worth many hours of your time. The newer store today is also a bit less chaotic than this old store that I'm documenting in this photo walkthrough. The purpose of these photos was just for me to remember the amazing retail experience of this LEGENDARY FAO Schwarz ("The World's Largest Toy Store"). Originally, these personal photos were never intended to be shared - so the quality isn't great. The shots were rushed because the store was crowded with shoppers and it was nearly closing time. Store lighting was used to conserve the battery life of the old broken point and shoot digital camera that I used. Please click here to begin the Photo Walkthrough or click on a thumbnail image below to see the photo in its entirety.